At Bijou Boutique every client is special. From Monday September 12th 2016. Bijou Boutique will be closed to the public on Mondays but has allocated Monday each week for clients to make personal shopping visits by appointment only. Why make a personal appointment? Buying clothes can be a very personal experience for many. Sometimes, you may just want to spend your time browsing selections without other people crowding you out. That way you can pay proper attention to the clothes and make the right decision for you to achieve the look you want. This avoids making hasty, snap decisions. Although you can always return something if you feel it’s not right for you, the time involved can sometimes be a burden. 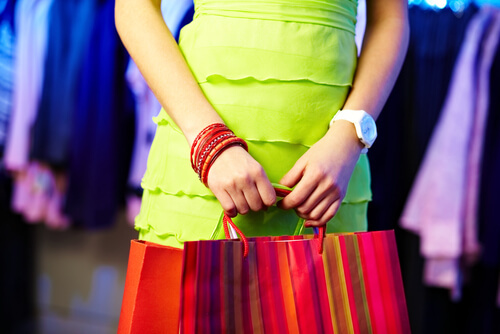 A personal shopping appointment will afford you the time to choose correctly. On the other hand, not everyone is as confident as they would like to be when trying new styles. This can make shopping for new looks can be daunting. Often it is helpful to have a second opinion on hand for honest feedback and advice, especially someone you can trust fully. Ladies will frequently have their trusted ‘shopping partners’ who they can rely on to help find something that ‘ looks just right’. Either way, having owner Trish on hand to help and cater to your needs is a big help. Sometimes, when women shop for clothes, they tend to stick to old habits and familiar styles that have worked in the past for them. This can lead to your wardrobe becoming a little staid and ‘samey’. Having a fresh pair of eyes suggesting new styles or colours that you would not have considered previously can bring a fresh look and a new you. Bijou Boutique has quickly built a reputation for the way in which they look after their clients. It is not just the range of exclusive designer clothes that has developed this reputation. Many Bijou clients keep coming back to the store because they feel they have their very own ‘shopping partner’ right here in the store. Owner,Trish, is almost always in the store herself. With a caring and supportive personality, she will always provide a true and honest opinion. She understands that if a client buys a garment which does not really fit correctly or suit their body type they will ultimately not be happy with the purchase or with themselves and this can reflect on her business. You can rest assured that you will never be encouraged to buy a product if it does not look right. There are plenty of choices in the store and Trish knows them all. She can help find and advise on which dress or other garment works best for you body type, colour complexion and more and then build a coordinated look for you with complementing items that suit. This level of detail is what makes Bijou Boutique a truly unique store with an unrivaled standard of personal service and stands it apart from every other ladies clothing store in the London area. At Bijou Boutique the customer receive not just the personal attention that is lacking in larger shopping mall chain stores but a personal dress service that some other clothes boutiques will actually charge for as an extra service. With Trish, this is all part of her devotion to her business and her valued clients and it is free to everyone who wants it. In person – just visit the store and see Trish to make a time that will suit you. By email – email trish@mybijouboutique.com and request a time that works for you. Leave a phone contact number and let us know how you would prefer to be contacted. Trish will get back to you to confirm you appointment time.